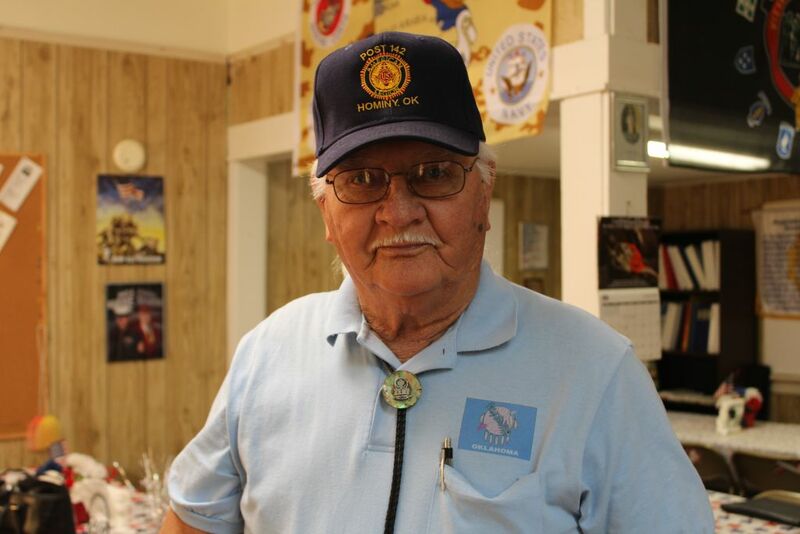 Hominy Post 142 of the American Legion. and Unit 142 of the American Legion Auxiliary, held their annual installation dinner last Friday, August 14th at the Legion Hut in Hominy. USAF veteran Jerry Sebert with the Legion cooked up ribs and chicken and the Auxiliary members and spouses brought sides and deserts which were enjoyed by the 20 members/guests in attendance. 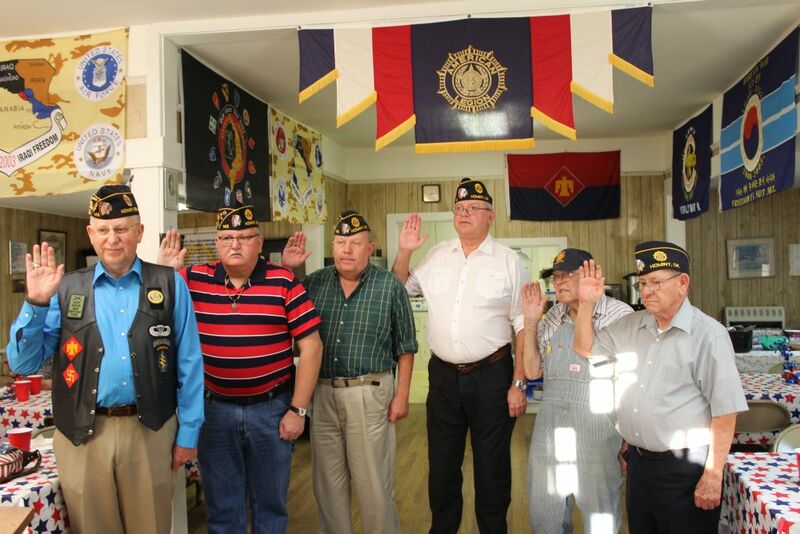 Past Oklahoma Legion Department Sgt-at-Arms Gordon “Lucky” Ladwig of Skiatook was the guest of honor for the Legion and installed the Hominy Post 142 new officers for 2015-16: Charles O’Leary-Commander, Steve Swinford-1st Vice-Commander, Babe Long-2nd Vice-Commander, Eli Prater-Adjutant, Jack Cross-Treasurer, Rex Mantooth-Chaplain, Babo Carter-Service Officer and Gary Lanham-Historian. Ladwig was presented with a Post 142 ball cap in appreciation for performing the installation. 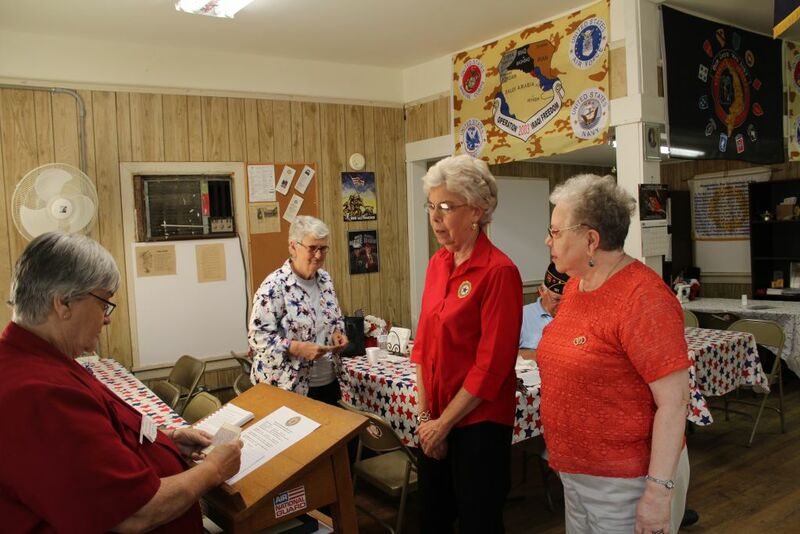 Auxiliary Unit 142, Installation of Officers (2015): Past Oklahoma Auxiliary Department President Myna Ladwig and Chaplain Marie Gillespie of Skiatook. Nancy O’Leary-President, Linda Cross-Executive Committee. Past Oklahoma Auxiliary Department President Myna Ladwig and Chaplain Marie Gillespie of Skiatook conducted the installation of the Auxiliary officers for 2015-16: Nancy O’Leary-President, Linda Cross-Executive Committee Member, Bonnie Liles-Secretary-Treasurer, Judy White-Vice-President and Mary Carnley-Chaplain. 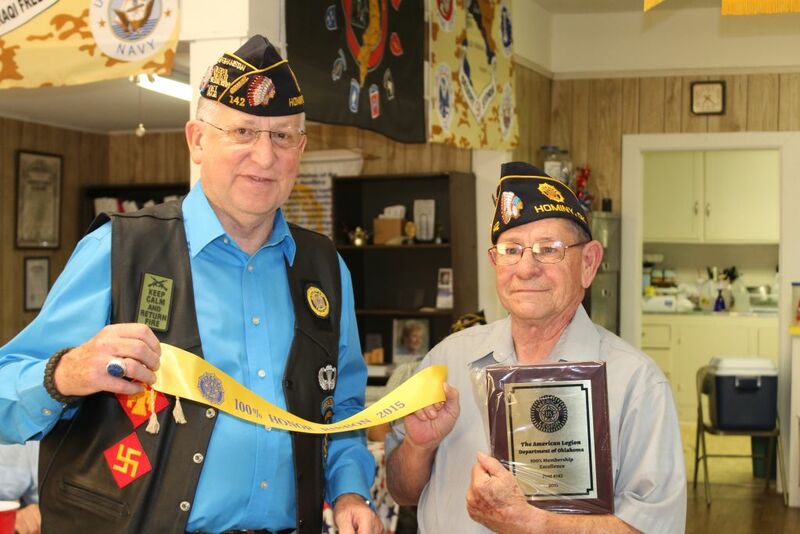 Jack Cross membership director for Post 142 was presented with an Award Plaque and Unit Streamer for 100% membership renewal turned in by December 31st of last year. 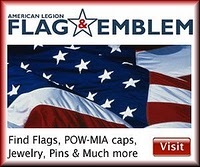 This is the first year the Hominy Post has received a Unit Streamer to be attached to the Legion flag. 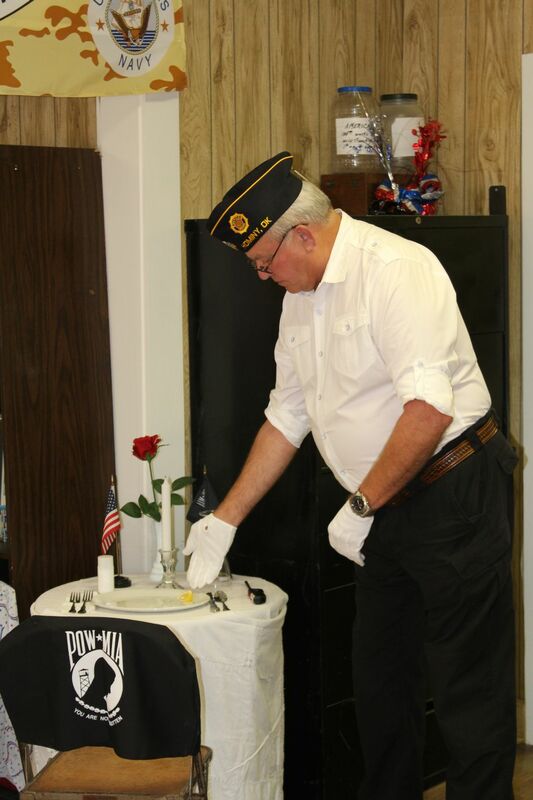 Commander Charles O’Leary and Vice-Commander Steve Swinford conducted a formal POW-MIA Memorial Table ceremony during the installation, remembering those who are still missing in conflicts and could not be present. This entry was posted in Announcements, Auxiliary. Bookmark the permalink.